Difference between revisions of "Commons cargo bike sharing: A tool for bottom-up mobility transition!?" At our upcoming [[Forum Freie Lastenräder 2019|annual meeting (Forum Freie Lastenräder) in Augsburg on 22. February 2019]] we reach out to activists and groups across Europe to introduce the concept of commons cargo bike sharing and discuss its potential in other European countries. The European project City Changer Cargo Bike ([http://www.cyclelogistics.eu www.cyclelogistics.eu]) will be part of the discussion and could become a partner in enabeling and promoting commons cargo bike sharing in cities across Europe. At our upcoming [[Forum Freie Lastenräder 2019|annual meeting (Forum Freie Lastenräder) in Augsburg on 22. February 2019]] we reach out to activists and groups across Europe to introduce the concept of commons cargo bike sharing and discuss its potential in other European countries. The European project City Changer Cargo Bike ([http://cyclelogistics.eu cyclelogistics.eu]) will be part of the discussion and could become a partner in enabeling and promoting commons cargo bike sharing in cities across Europe. Cargo bikes offer a great potential of replacing cars in urban areas. But they are still rare or onsidered as too expensive. Also only a few people need a private cargo bike every day. This is where the commons cargo bike sharing movement wants to make a difference. At our upcoming annual meeting (Forum Freie Lastenräder) in Augsburg on 22. February 2019 we reach out to activists and groups across Europe to introduce the concept of commons cargo bike sharing and discuss its potential in other European countries. The European project City Changer Cargo Bike (cyclelogistics.eu) will be part of the discussion and could become a partner in enabeling and promoting commons cargo bike sharing in cities across Europe. 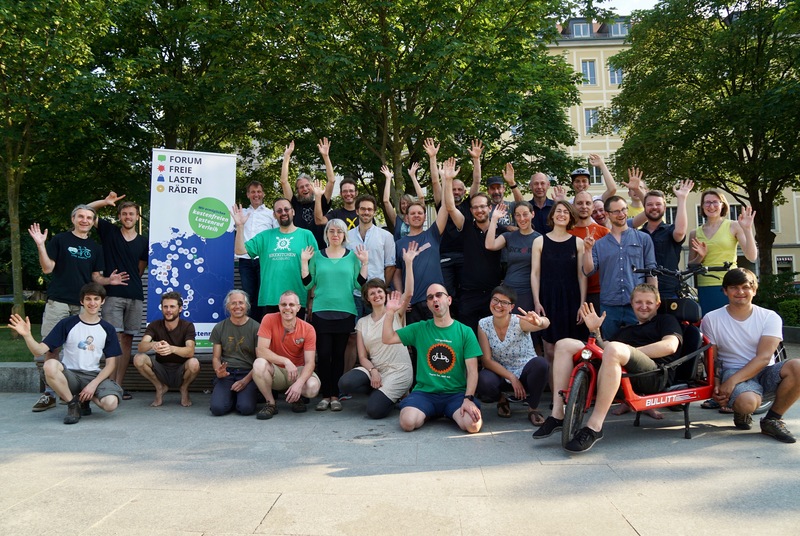 If you want to join the "Forum Freie Lastenräder" 2019 in Augsburg (Germany) – the annual meeting of commons cargo bike sharing initiatives in person or have any questions about it's program or the Skype call please get in touch.